In the middle of the island of Bali lies a town that has resisted somewhat to changes that fame had brought to the island. Ubud has remained largely laid-back, and while many resorts and villas have upgraded in terms of facilities, the services are still friendly and cosy. 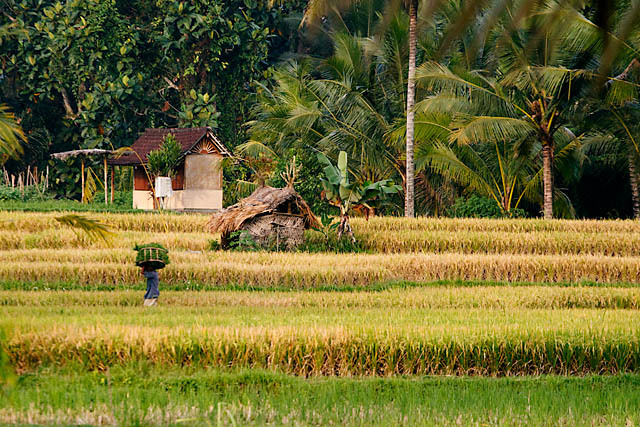 Surrounded by pretty rice paddy fields, central Ubud makes an excellent base for Bali exploration. Whether it's the mountains to the north or the beaches to the south, transport arrangements can be easily made. Backpacker friendly outlets are also abundant, and the town itself is also well known for its arts and culture. Also, right at the edge of town, there is a simple walk/hike that brings you right into the heart of the rice paddy fields. 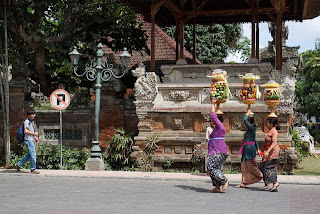 An activity I would consider a must-do in Ubud! And of course, loads of spa and massage shops to choose from, to complete your day! 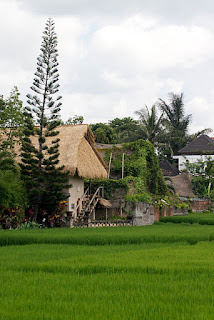 My first visit to Bali, and I must say, Ubud impresses! 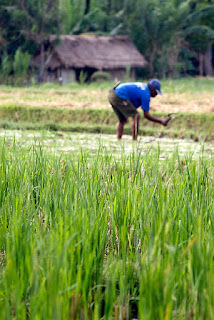 When wandering around the rice fields in Ubud, be sure to visit Fly Café in Lungsiakan on the Campuhan circuit. Fly Café is a cheap place to eat in Ubud. The menu includes delicious local, international, and vegetarian meals, and next door is Café Lalat where you can enjoy scrumptious Jimbaran style seafood at half the price.